Wallace Chevrolet > Camaro > 2016 Camaro Specs Released!
. And it’s an absolute rocketship. 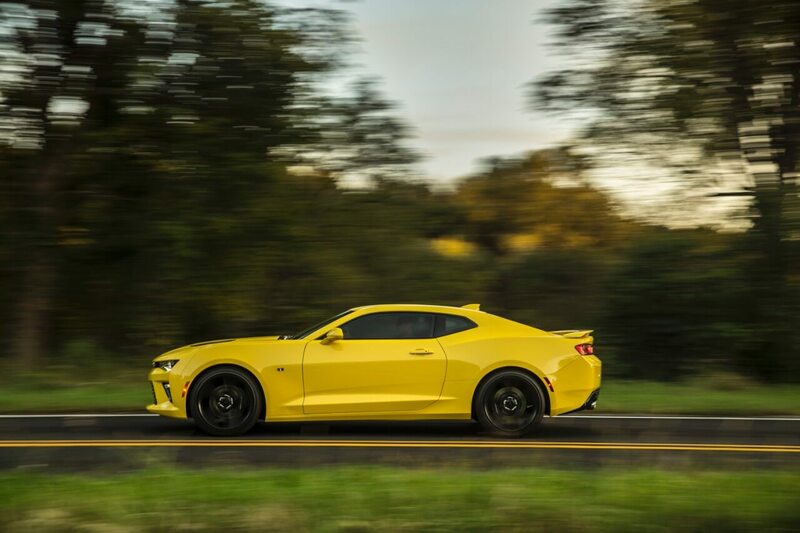 More power and less weight are the perfect performance ingredients and Chevrolet has done exactly that with Camaro6. Hundreds of pounds have been shaved from each trim level, and the base Camaro weighs a full 390 pounds lighter than the current car. That pays dividends for handling, agility, performance and fuel economy. But let’s get to the good stuff, shall we? Testing reveals the all-new range-topping Camaro SS and its 455 hp 6.2L V8 engine can blast to 60mph in 4.0 seconds and pass through the quarter mile in just 12.3 seconds when equipped with the eight-speed automatic transmission, while manually equipped models hit the marks in 4.3 seconds and 12.5-seconds respectively. When equipped with the 355 hp V6 engine and automatic transmission, the Camaro coupe scoots to 60 mph in 5.1 seconds and can swallow up the quarter mile in just 12.3 seconds. Meanwhile, Camaro’s equipped with the manual transmission hit the marks in 5.3 seconds and 12.5 seconds. Hop into a Camaro equipped with the 275 hp 2.0L inline-four cylinder engine with automatic transmission and it’s a similar story, as it needs just 5.4 seconds to make 60mph while hitting the quarter mile in a healthy 14-seconds. Oddly, the 2.0L Camaro is the only model that is faster to 60 mph when equipped with the manual (5.3 seconds). With this in mind, we can’t wait to get behind the wheel of the new Camaro when it arrives at Wallace Chevrolet later this year.